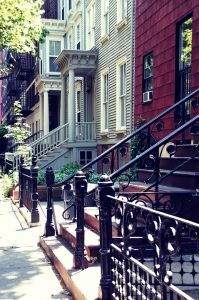 Brooklyn vs Manhattan- what borough to choose? If you are thinking about moving to NYC then good for you. NYC is a dream city for so many and you are in for a treat once you move there. Any weather season looks perfect in NYC. Spring is so special that all you want to do is go outside, drink some good coffee and look at people passing by, while that first breath of lovely spring air goes through your lungs. Summer in the city can get problematic but for that you got Hamptons. Autumn should be spent in Central Park and as for the winter, well, this is the most magical time of the year in NYC. No matter if you like the winter or not, you will enjoy the snow and Christmas decoration so much. It looks like a fairytale. However, NYC has five boroughs and when it comes to Brooklyn vs Manhattan you will have to choose wisely. All of these five boroughs have something special. Manhattan is fancy, Brooklyn is cool, the Bronx is fierce, Queens is the biggest borough of all five, and Staten Island is as the name alone says, an island, which is pretty awesome. Therefore, whatever you choose, there will be something great for you. But let’s talk Brooklyn vs Manhattan. Brooklyn has changed so much in the past few years. It is up and coming neighborhood that people are getting in line to try and find a suitable home for themselves. The old Brooklyn reputation seems as it doesn’t exist anymore. Every day there are fewer stories about any criminal activity that took place in this fine borough. There is almost no con reason for living in Brooklyn. If we have to mention one, it can be that this once cheap borough to live in, becomes more and more expensive. Millennials are rushing to Brooklyn more than to any other borough in NYC. The bigger the interest the bigger are the prices. However, it is still possible to find a decent home in Brooklyn with a decent price. knows something about this borough. It is widely popular. There is a reason for it. Manhattan has something special, just that feeling of walking through one of its streets can make you be in a better mood. 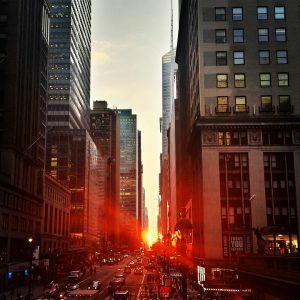 People are coming from all over the world to visit Manhattan, however, there is one huge reason why they aren’t staying. Manhattan is a very expensive place to live in. From high rents to an expensive cup of coffee in a nearby coffee shop. Therefore, if your heart is set to live in Manhattan make sure you are financially capable to do so. Brooklyn vs Manhattan, and for now Brooklyn in leading. At least from the financial part. There are some combinations you can make when it comes to Brooklyn vs Manhattan. One of those combos is living in Brooklyn and working in Manhattan. This is a great combination if you want to have a nice home with reasonable rent and you still want to feel that business, fast paste life that Manhattan has. Why not take the best from both. Talking about having the best from both worlds. Whatever the combination you choose the make you have to know that from Brooklyn to Manhattan and vice-versa you can arrive in a matter of half an hour by using the subway. So, it is definitely possible to spend your days in both boroughs. The best way to go is to have someone who already lives in New York in one of these two boroughs. If you have someone who lives in Queens, Bronx or Staten Island, you can ask them as well, because they will still know what advice to give you. New York is a big city where so many people come to live, try their luck and start a new and exciting life. Some of them manage to work it out in the Big Apple others don’t, but that definitely doesn’t mean you shouldn’t try. There’s a saying “If you make it here, you can make it anywhere” it can be a rough city, you will see that when you go to check out the first apartment to rent, but if you are persistent you can really make it here. Brooklyn vs Manhattan is something we hear about a lot nowadays. Before it was all about Manhattan, but now the other four boroughs are becoming more and more popular, especially among young career-oriented people and families. So, New York is definitely not all about Manhattan anymore. Whatever borough you choose you can find yourself, your calling or significant other. 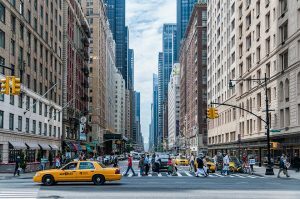 It is a city filled with opportunities, so make the most of living in Brooklyn or Manhattan and enjoy in one of the coolest cities in the world.